Advanced Fibrous Composite Materials for Ballistic Protection provides the latest information on ballistic protection, a topic that remains an important issue in modern times due to ever increasing threats coming from regional conflicts, terrorism, and anti-social behavior. The basic requirements for ballistic protection equipment are first and foremost, the prevention of a projectile from perforating, the reduction of blunt trauma to the human body caused by ballistic impact, the necessity that they are thermal and provide moisture comfort, and that they are lightweight and flexible to guarantee wearer's mobility. The main aim of this book is to present some of the most recent developments in the design and engineering of woven fabrics and their use as layering materials to form composite structures for ballistic personal protection. 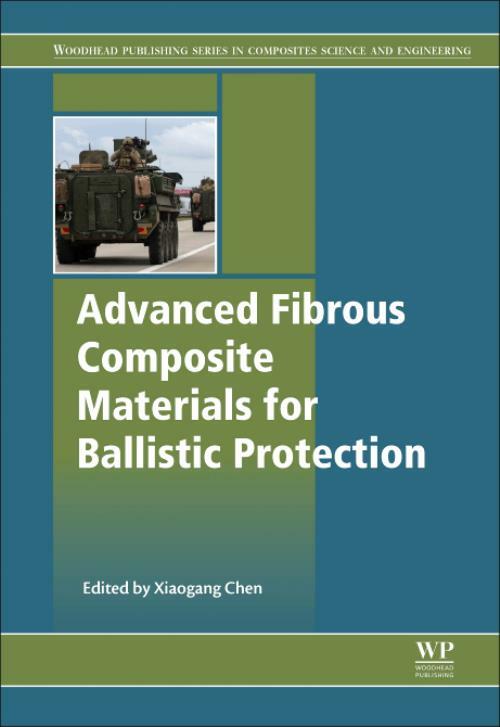 Chapter topics include High Performance Ballistic Fibres, Ultra-High Molecular Weight Polyethylene (UHMWPE), Ballistic Damage of Hybrid Composite Materials, Analysis of Ballistic Fabrics and Layered Composite Materials, and Multi-Scale Modeling of Polymeric Composite Materials for Ballistic Protection. Chen, XiaogangDr Xiaogang Chen obtained his PhD in Textile Engineering from the University of Leeds in 1991. He is currently a reader in technical textiles in the School of Materials, The University of Manchester. In the field of modelling, he worked on mathematical models leading to the creation of CAD software for 2D and 3D woven fabrics. He also researched into geometric and mechanical modelling of textiles for engineering technical textiles. He has applied his modelling approach into the prediction of textile behaviour in energy absorption, fluid filtration, textile composites and ballistic protection.